Know about the details pertaining to the challenges for Indian accounting students to pursue Certified Public Accountant (CPA US) course, along with ways to overcome them and understanding the benefits of CPA US certification in India. A Certified Public Accountant (CPA) holds a prestigious standard of competence in the field of Accountancy all around the world. The exam is administered by the American Institute of Certified Public Accountants (AICPA), which is the world’s largest accounting body. If a career in accounting is considered coupled with an illustrious career, CPA(USA) is a viable option. CPAs are hired across industries throughout the world and are globally recognized as premier accountants. “As an Indian accounting student, can I pursue American CPA?” - is a common query that pops up in the minds of several CPA aspirants from India. There is lack of clarity even amongst CAs and professional accountants about the process through which they can appear for the CPA US, and its relevant benefits. 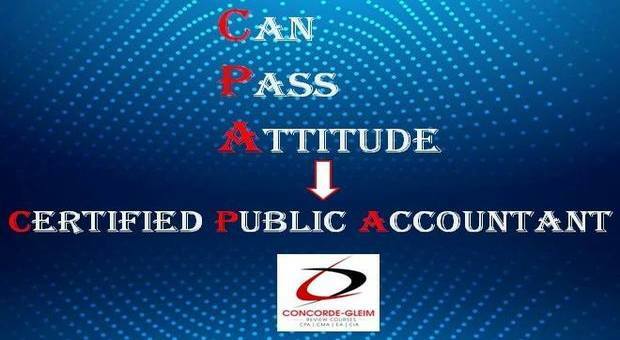 The following article below mentions a low down of how the CPA course is been chartered, what are the benefits, what are the challenges that will be encountered, how can those challenges be negated, and how critical it is selecting a sound coaching institute like Concorde Academics proves beneficial to the aspiring candidates in obtaining a CPA certification followed by an astounding career in the world of finance. CPA offers varied possibilities to show your expertise in the accounting field. Listed below are the detailed benefits of CPA course. International Recognition: Gaining international exposure is a great opportunity for CA, ICWA, CS, LLB, MBA (Finance), M.com and Commerce Graduates who aspire for an International Certification. The exam is administered by the AICPA, which is the world’s largest accounting body in the US. Careers Opportunities: After clearing the CPA exam, candidates can kick start their career with Accounting & Auditing Firms, Research firms, Investments banks, Hedge Funds, Private equity firms, Commercial banks, Mutual funds, Merger & Acquisition etc. Flexibility and Ease: Being a Single Level Online exam with just 4 Papers; one can expect to clear the course in less than a year. A must do for CA, M.Com, and Commerce Graduates: CPA(USA) is one of the few International certifications that you can give along with a job thus increasing job prospectus. Academic Excellence: CPA is held in the same regard as a CA qualification. A CPA will have knowledge of US GAAP, GAAS, US federal taxation and business laws. This gives a great advantage to a CPA when working with US Based Financial firms or Indian firms working for US clients. Apart from the above-mentioned education criteria, a candidate should fulfill the evalution process criteria. CPA exam syllabus is broken down into 4 sections. Each of these sections has their own syllabus and exam which you need to be proficient in. The tabular structure displayed below breaks the 4 exam sections that provide a glance through with the number of questions that appear in each of the sections, and the time limit for completing the sections. Online tests are been conducted at Prometric centers and are been conducted in a few selected countries. Indian students interested in pursuing a CPA course cannot appear for exams from India itself, as there is no Prometric center in India. Earlier candidates from India had to appear from the exam centers in US only. However, with an increase in demand of candidates wishing to pursue CPA, the American Institute of CPA (AICPA) the candidates can now appear from the centers based in the Middle East. The centers have been stationed at Bahrain, Kuwait, Lebanon, and UAE. Even though the cost of pursuing CPA is much higher in the US than in India, the course can be completed in a much shorter duration. It takes approximately 7 to 8 months for completion which is quite a lesser time span considering the fact that it takes 4/5 years to complete a CA course. Initially, when CPA was introduced in India, there weren’t any good coaching institutes that could offer professional coaching and counseling. But through the passage of time as CPA has grown in popularity and various coaching institutes have been established with the ever-increasing demand. Various coaching institutes have now been established up to cater to the current needs of imparting specialized training to acquire CPA certification. One of the popular coaching institutes is Concorde Academics which gives a systematic approach and breakdown of the course, hereby giving a candidate an upper hand in clearing the CPA exam. Apart from just providing tutoring, Concorde Academics also mentors candidates as to how they wish to shape their career so that they can fulfill it successfully.